The lead characters in crime fiction series tend to have certain fixed and dominant traits that are a shorthand and a constant, providing capsule descriptions of his/her character and continuity through the series. The character may be more complex than the shorthand description, as with Wallander, for example: yet Wallander remains the melancholy detective, useless in his relationships with women. In lesser series, the shorthand is pretty much the whole characterization of the "hero." Brian McGilloway's series featuring Garda Inspector Ben Devlin, on the other hand, takes no shortcuts. 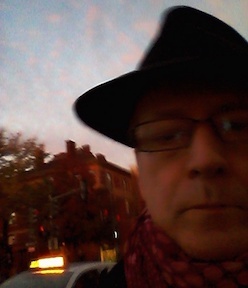 Davlin is a fully realized person, in his professional and personal lives, and is no more summarizable than someone you might meet on the street. The "fullness" of the character is echoed in the "roundness" of all the secondary characters, as well as the distinctly local/regional quality of the voices of all the characters, and the natural quality of the plotting. The result is a novel fully satisfying as a crime novel, or simply as a novel. 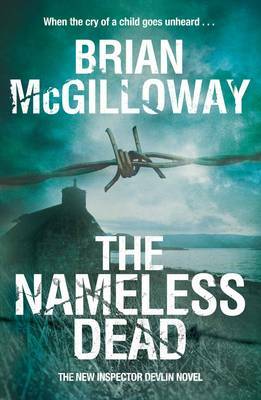 In this, the fifth Devlin novel, a Commission is digging for the graves of the "disappeared," people who are almost certainly dead but whose bodies had been hidden during the Troubles, along the border between Ireland and Northern Ireland. The Commission, part of a "truth and reconciliation" process, requires that no investigation or prosecution can be made on evidence uncovered in the dig, in order to encourage people to identify the sites where corpses might be found. The layers of Irish history are uncovered along with the layers of earth on a small island in a river between the Republic and the North, with Devlin present as an observer. When the body of s deformed child is discovered, rather than that of the young man for whom the diggers are looking, several new layers are added to the story. The first is the burial of unbaptised babies, consigned to limbo by the Catholic Church and buried secretly in unconsecrated ground by the parents, in unofficial graveyards such as the one located on the island--but the baby's body is not found in that section of the island, and was buried more recently, as well as likely being murdered rather than being stillborn or dying of natural causes. The story is complex, but McGilloway is skillful in keeping things moving and keeping things straight for the reader. There's the family of the man whose body is being sought, including the son born after the man's disappearance, bitter that his father will receive no justice even if he is found. There are the nearby ghost estates, condemned to remain mostly empty when developers abandoned them after the Celtic Tiger collapsed. There is the duality of the two mostly cooperating police forces, along with Jim Hendry, Devlin's colleague on the other force. There is Devlin's own family, undergoing both the normal strains of having two children at the cusp and the full flower of adolescence in the house, as well as more particular strains having to do with prior events and ongoing unfortunate (from Devlin's point of view) relationships, straining the Inspector's relationship with his children and also his wife (though the marriage is pretty solid by this time in the series). So the complexity of the characters is mirrored by the complexity of the plot, but the story and the region's history are always at the forefront, never lost in the fog. 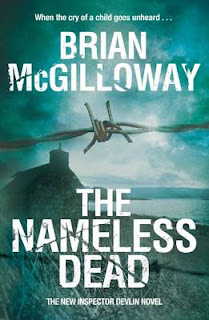 I've enjoyed this series all along, but The Nameless Dead balances all the elements of the series and its setting particularly well: I think it's the best so far.